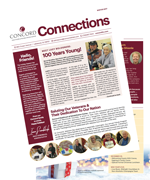 ﻿What's New - Concord Healthcare and Rehabilitation Center! In honor of American Heart Month, we bring you the facts and some crucial tips to help prevent heart disease. 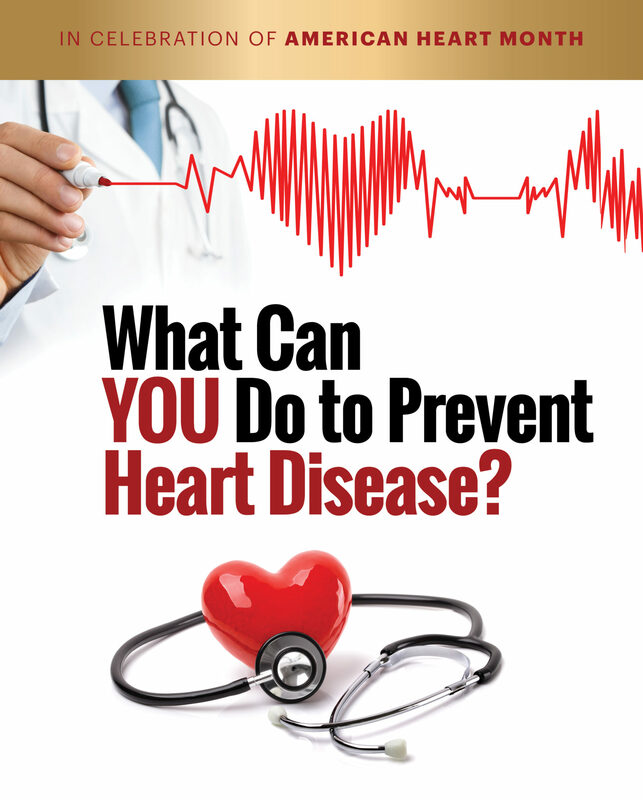 Heart disease is the leading cause of death for both men and women. In the United States alone, someone has a heart attack every 40 seconds! Forty nine percent of Americans have at least one of the key risk factors for heart disease: high blood pressure, high LDL cholesterol and smoking. Implementing the following habits into your lifestyle is a great start! Don't sit for too long - get moving! Break up long periods of sitting, and stand or walk while doing things like talking on the phone. SLEEP 7 to 8 hours a night. Not sleeping enough may put you at a higher risk for cardiovascular disease no matter your age or other health habits. Cut down on SALT. To maintain healthy blood pressure, avoid using salt at the table and try adding less to your cooking. Stay away from foods with TRANS FATS. Trans fat clogs your arteries. Read food labels carefully & look out for hydrogenated oils in the ingredients. And remember to LAUGH OUT LOUD! Don’t just LOL in emails or Facebook posts. Laughing can lower stress hormones, decrease inflammation in your arteries, and raise your levels of “good cholesterol". Concord’s specialized cardiac program was designed to assist individuals recovering from a wide range of cardiac issues. Our all-encompassing care includes cardiac monitoring, CHF prevention, daily rehabilitation, and a dedicated focus on lifestyle modification, healthy diet and exercise. Throughout her life, Elsie Morris has dedicated herself to caring for others. 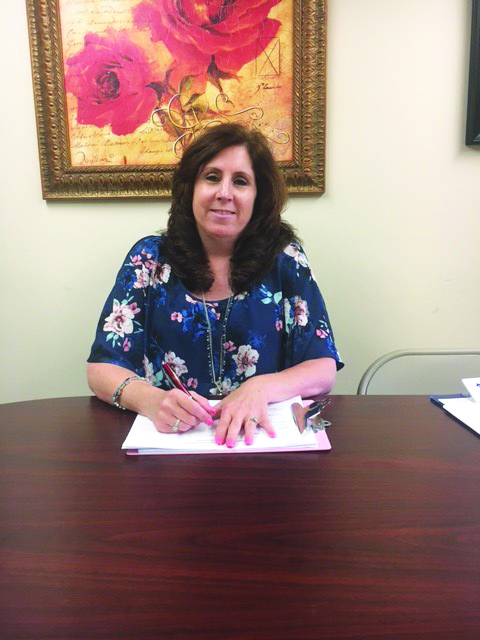 With a strong medical background of her own, having worked as a nursing assistant in Jersey Shore Medical Center for 22 plus years, Elsie is knowingly more impressed with the quality of care she receives at Concord Healthcare. A woman of strong faith, she exudes a joyous outlook on life, and it was this fortitude of spirit that helped her through her recovery from a debilitating stroke that unfortunately left her very weak and receiving her nutrition through a feeding tube. With the supportive guidance of our physical, occupational and speech therapy team, Elsie made steady progress over a period of a few months – successfully reaching her target rehab goals. The day her feeding tube was removed was one of celebration for her and her therapists, and she was extremely grateful to be able to return to a full oral diet. Elsie made tremendous strides in her mobility, and her ability to conduct the basic tasks that are essential to daily living vastly improved. 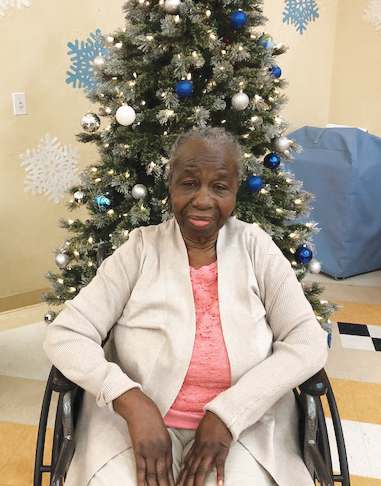 Elsie especially enjoyed doing exercises on the omnicycle – an active-assisted rehabilitation system used to strengthen her upper and lower body. Elsie’s favorite pastimes include crocheting, knitting and visiting others in the hospital to uplift their spirits. At Concord Healthcare we take pride in caring for many individuals who served in the US Armed Forces. We tend to the needs of our distinguished Veterans on many levels – whether its physical, spiritual or social-emotional. We look for ways to enhance their comfort and to show our respect and appreciation for their sacrifice for our safety. To meaningfully mark Veterans Day, a special program took place at Concord on November 13 in conjunction with Grace Healthcare & Hospice. With family members in attendance, our Veterans were introduced and presented with a certificate and a pin honoring their service. Other facets of the program included a special Honor Table, a Moment of Silence, and a forum discussing ‘What is a Veteran’ and the history of the day. Concord residents are very familiar with Judy’s smiling face and comforting presence. In her role as Concierge, she gets to know everyone by name as she works the floors daily, room by room, looking to help in any way she can while making sure everyone’s happy. Need some items from CVS or a special snack from Shop Rite? How about some new clothing or even a glass of water? Just ask Judy. The residents and their family members know her as the go-to person for anything and everything. 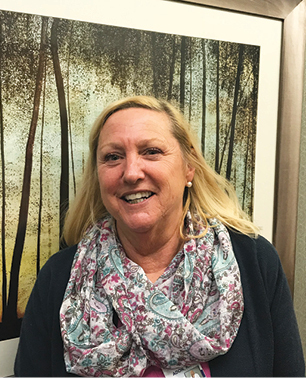 Judy originally joined Concord as a part-time evening receptionist, and quickly moved on to become the center’s Concierge. An effervescent and outgoing people’s person, Judy loves working with the residents and always keeps an eye out for those residents in need of a bit of extra attention and a listening ear. 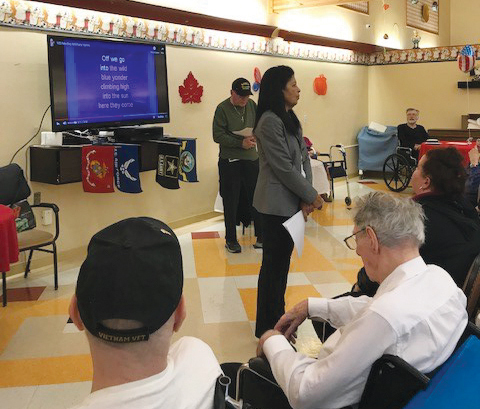 Her regular evening get-togethers for the subacute residents are major social events that are loads of fun, even attracting some of the LTC residents to join as well. Whether its an autumn dessert table, a pizza party, or a roulette game Atlantic City style – Judy goes all out with the décor and her whimsical little gifts and prizes.This past year, my mom spent a few weeks at Concord before her passing in May. It was a really special time . . . I got to spend quality moments with my mother and she got to see what I do on a daily basis up close. 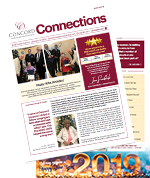 She was well taken care of here.” says Judy.A resident of nearby Jackson, where she lives with her husband and four children (including a set of twins), Judy is kept very busy between her family and full-time position at Concord. Cooking is one of her biggest joys, and when she has any free time she loves to garden. 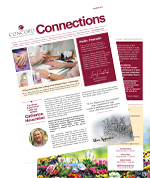 Catherine Heuschkel is an integral member of the Concord team. As our Assistant Director of Nursing, Catherine works hard to provide the ultimate in quality care to our residents. With her 13 years of geriatric experience, Catherine knows what each patient needs to help them recuperate and feel their best. She is also a part of our wound management team, conducting weekly wound rounds together with our wound specialist. Beyond her duties at Concord, Catherine has been part of the nursing team taking care of the Miss America Pageant contestants. Participants representing every state converge in Atlantic City for this annual event. We are now fully certified and equipped to deliver peritoneal dialysis (PD) to patients with renal disease, eliminating the inconvenience of transporting residents with complex medical needs outside the facility for treatment. 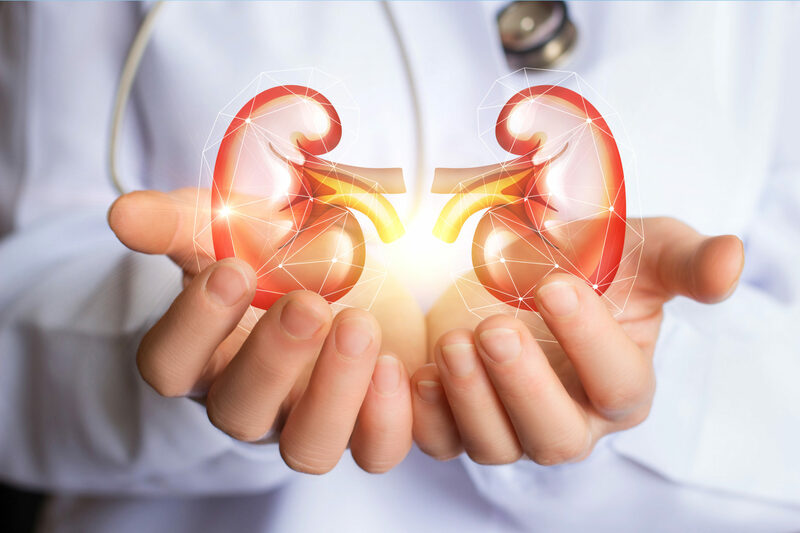 Our Dialysis Program, developed by Nephrologist Dr. Sushil Mehandru, is directed by our Nurse Practitioner, Elmer S. Sadiang-Abay, who coordinates individual treatment plans. On a late Spring day, Bob and Paula Suskind sit next to each other, exuding the effortless affinity of a lifetime together – and enjoying the mid-morning light that fills our dining room. 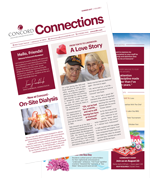 A delightful couple married for over 60 years and now residents at Concord, theirs is the quintessential “all American story”. 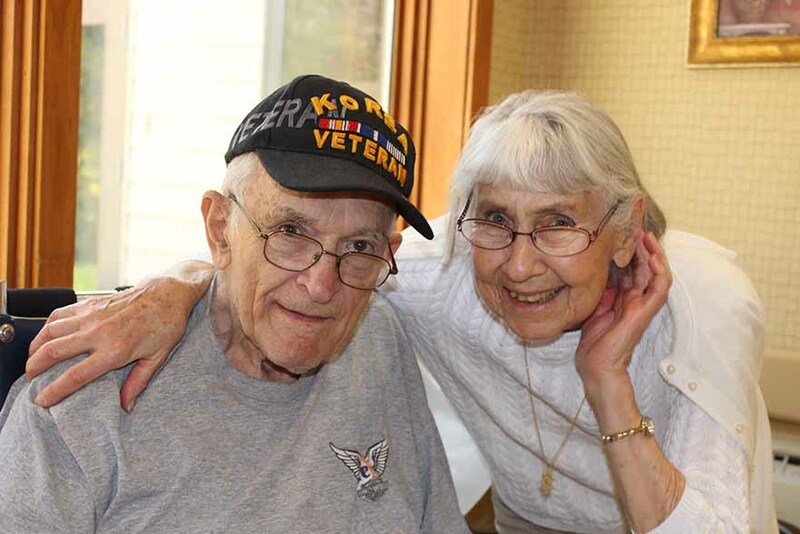 On a quick stop from his deployment in Korea, and set up by a cousin, Paula and Bob met on January 8, 1955. “Bob showed up at the door – and he was so handsome! He had this pitch black beautiful hair and looked exactly like Montgomery Clift, the famous Hollywood actor”, recounts Paula, evoking the thrill of their first meeting and providing us with a clear description of Bob’s good looks. Newly married, Bob was deployed again – this time to Japan. 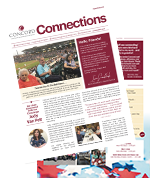 “Oh, we’ve had fun, a full life … and we’re still having fun here at Concord” says Paula. “Yes, we’ve had a good life” interjects Bob, whose dignified demeanor matches the cap he’s sporting this morning etched with the words “Korean Veteran”. A reply marked with that sparkle in the eye that, we imagine, must have conquered Paula’s heart on that fateful day when he showed up at her door. And that very same sparkle still fills her heart. 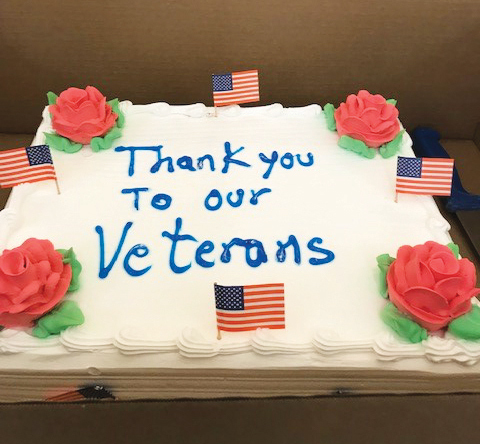 Concord Healthcare & Rehabilitation Center, the only VA contracted nursing home serving Ocean and Monmouth Counties, is proud to have many veterans call our facility home. Respectful of our vets’ distinctive needs and in recognition of their dedicated service, we offer special Veterans Programming year round – with many opportunities for socializing in the company of peers. Our veterans recently enjoyed an outing to the Legion in Toms River for an early Thanksgiving Dinner celebrated with veterans from throughout the area. At Concord, Veterans Day observance is especially meaningful. 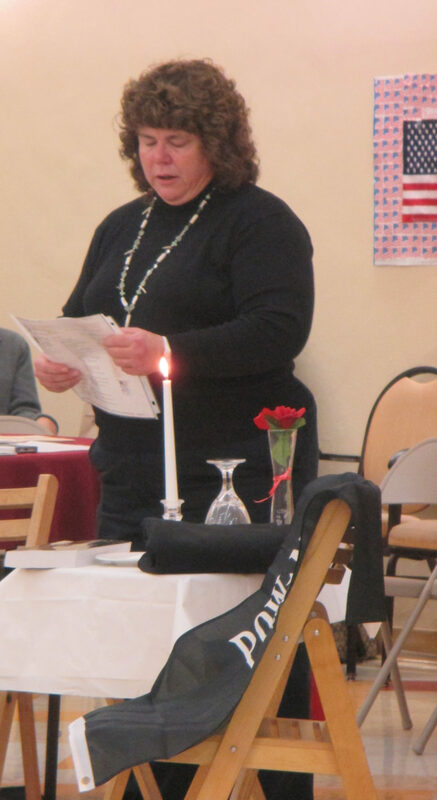 Our annual Tribute Program led by Chaplain Diana Speidel on Thursday, Nov. 9 opened the holiday weekend. Following a candle lighting memorial ceremony, each veteran and war widow was honored with a pin and certificate. 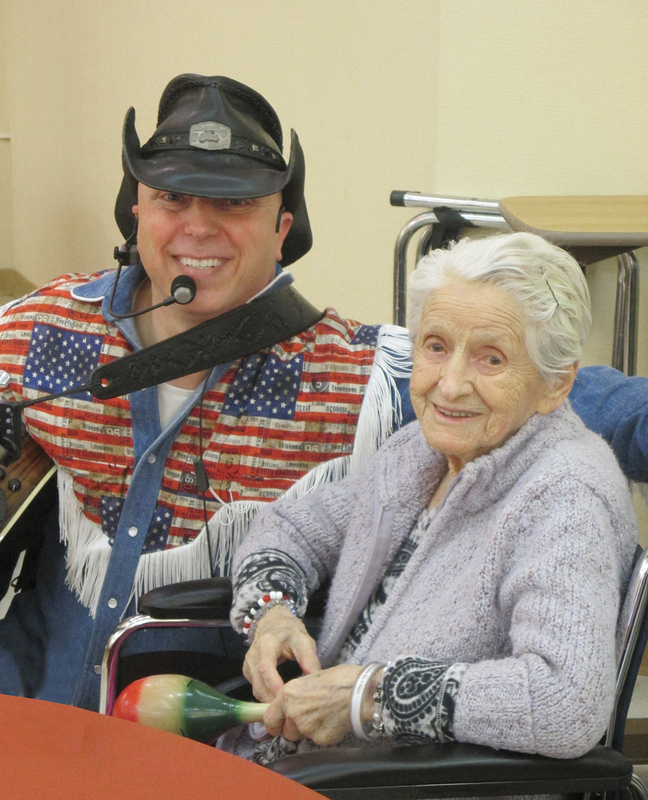 On Saturday, residents enjoyed lively festivities with patriotic music and dancing. Meet Lucy Bolognese: 100 Years Young! Lucy: Growing up in Brooklyn in the early part of the century, we lived in a primarily Italian and Spanish neighborhood. In those days, everyone got along. Neighbors sat together on their stoops and people greeted one another on the streets. I loved sitting on the stoop with all the younger kids gathered together as I read them stories and helped them with their lessons. The little kids would come to my door looking for me to come out – and they would be upset if I wasn’t home to tell them stories. At the age of 17 or 18, I worked for the school at the Principal’s office. I was paid $10 a week – quite a lot of money at the time! Lucy: He worked with my brother who thought he would be a good match for one of my sisters. And this sister thought he was a good match for her … but he picked me! We got engaged but then the War broke out. He wanted to get married right away but I decided to wait because of the war. It was hard to be apart, and since we weren’t married all notifications from abroad were sent to his mother so I had to get all my correspondence through my future mother-in-law… Luckily, he served mainly in safe areas and spent much of his time stateside. When the War was over we got married at St. Mary’s Star of the Sea Church in Brooklyn, which is still around. I wore a white dress that my mother-in-law had made for me. I was in my late twenties when we got married – older than many of the girls in those days. Lucy: I really never thought I’d live this long, I was scrawny and never a good eater. But I have always kept busy reading, listening to music, dancing and socializing. I did a lot of walking living in the city and loved jumping rope. Lucy: My all-time favorite singer is Connie Francis, I especially love the song “All of Me”. Lucy: Talking! I always liked having friends and had many no matter where I lived. I enjoyed going into Manhattan with my girlfriends for fun outings. I also liked having people over, entertaining and cooking even just for relatives or in-laws. My specialties were chicken cacciatore and steak a pizzaiola. I still love spending time with people! Lucy: Don’t ever think you are better than anyone else. Never in 100 years have I ever said I hated someone, I never looked at someone and said ‘I don’t like you’. Listen, I’m not perfect, it’s not like I never did anything wrong, but you just don’t hurt other people with hateful words. If you know someone doesn’t care for you, is mad at you, or maybe you don’t get along with them just keep your mouth shut and stay away. No matter what our differences might be, all nationalities, all colors – we are all human.